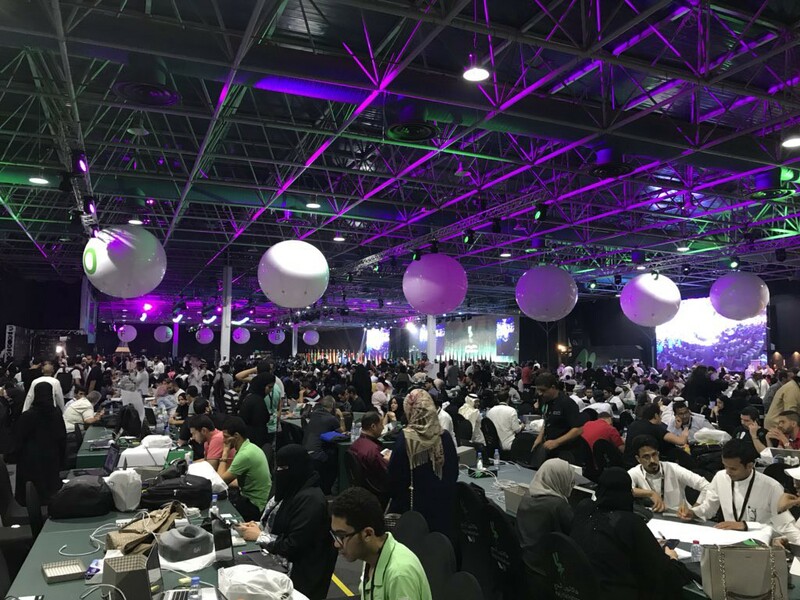 Last week I was invited as a mentor/judge to the biggest hackathon in the world in Jeddah (Saudi) and it was EPIC! 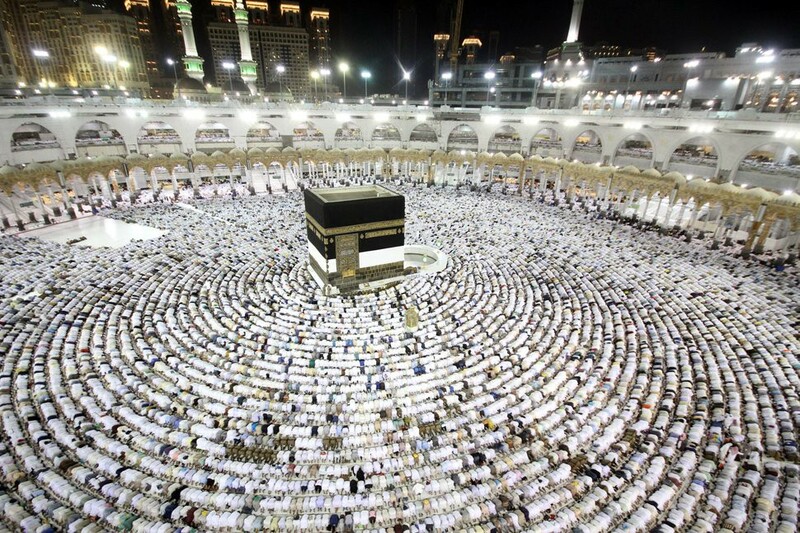 The hackathon theme was the Hajj, its a time in the year based on the lunar calendar where muslims from all around the world come to perform a pilgrimage on Saudi to a few sacred places, such as Mecca, which is the city where the Holy Kaaba. This is also where all the muslims pray towards to, so every Mosque is facing this specific city. To understand the size of the challenge you have to know that more that 2 M people come at the same time to perform this once in a lifetime experience and its expected that for 2030 this number will grow to 30 M.
The Rio olympic games hosted around 1.2 M people and the Russia world cup had around 1M visitors, so its like hosting a great logistic challenge every year and everyone want to move to the same place, so you can start to guess all the interesting problems to solve and its going to get harder and harder, so how technology can help to make this experience better for everyone? This was my first time visiting Saudi Arabia and I had no idea on how to even apply for a visa, but after getting an invitation letter, recording my fingerprints and quite a lot paperwork I got mine just in time to fly from Dubai to Jeddah. 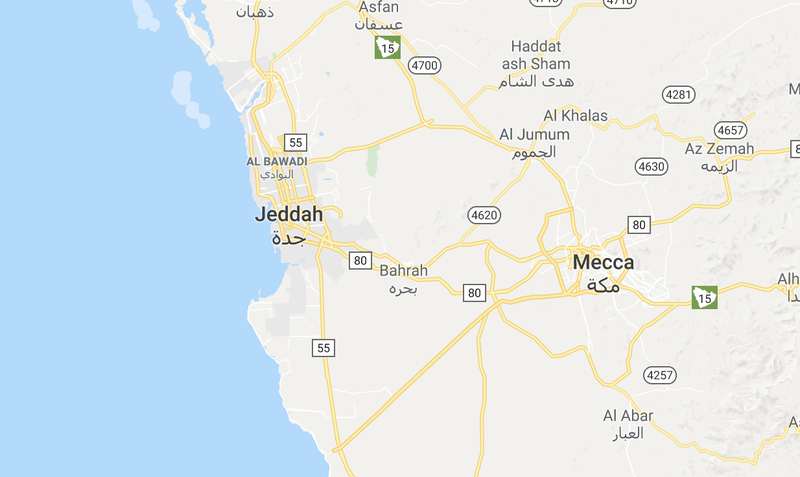 Jeddah is the city that is closer to Mecca and its an important entry point for all the pilgrims, a new airport is being finished in preparation for next year Hajj to be able to manage all the flights. After a welcoming drink in the hotel and meeting some old friends from different GDG groups from the MENA region they drove us to the venue and it was HUGE! 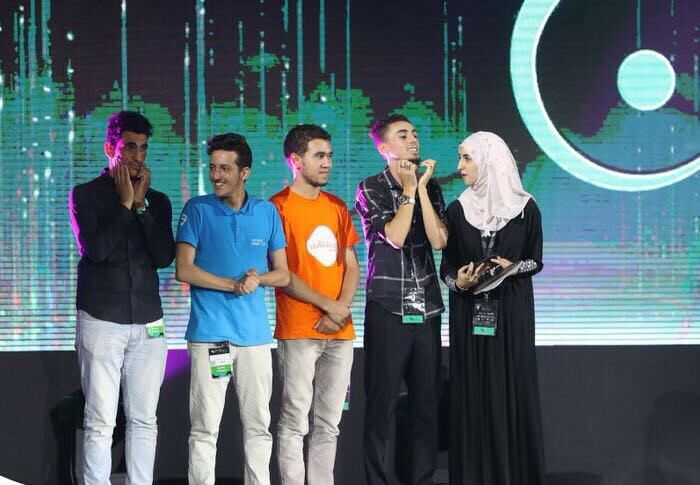 Around 3000 developers from all around the world came to try to solve some pretty complex problems and get a chance to win the 2M SAR 1st prize. Hajj mentors that would share their experience in the pilgrimage, problems, data and experience. Business mentors that would help the teams figure out the way their solutions could be either sustainable or even profitable. As a tech mentor, my work involved going to different teams to help with any technical questions. I also guided them on how to pitch their ideas and of course, challenged some assumptions. For example, it is quite likely that most of the pilgrims will either have really bad data connection or no roaming data because of how crowded the place will be. It was amazing to meet some of the teams, the vibe was energizing with all these young participants eager to learn and fix things. Developers, designers, business people from all the globe in teams building solutions in 36 hours and ready to pitch them in 2 minutes. Crowd management: when that many people move to the same place there is a huge need of organization and real time data could help in many ways. Waste management: The cities get flooded with waste that can be difficult to clean in time. Medical assistance: How to get to people in need in this super crowded events, get a fast triage and make the best use of the medical resources available. Financial solutions: Most of the people have to change their currency on their country and then carry a lot of cash with all the risks and issues associated with it. Communication solutions: Such a diverse crowd speaks a lot of languages and dialects and can get tricky to find a common way to speak or get directions. 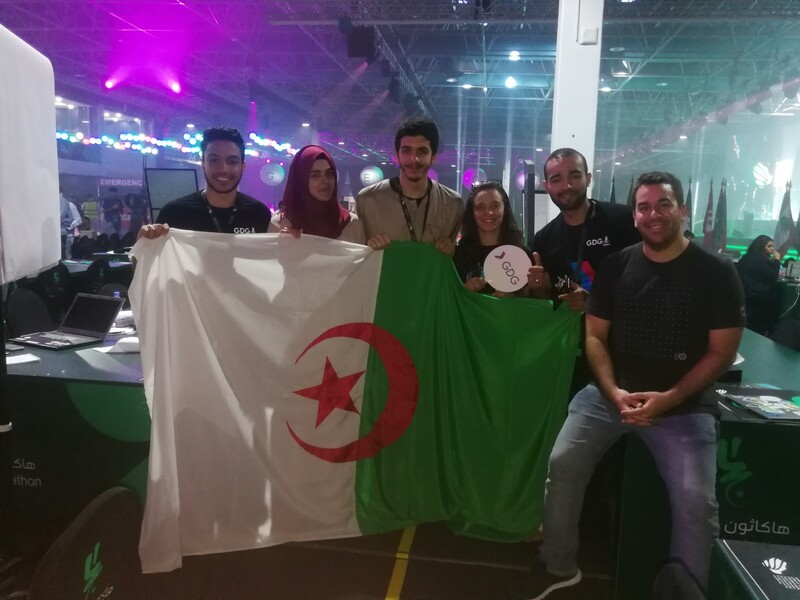 Like this team from Algeria that where trying to solve the cash issue, they where trying to create a closed loop paying system. I asked them if they knew they could build a nice solution using blockchain to keep track of all the money and make a more resilient solution. They had no idea how to do it, but instead of continuing with whatever they where going to develop, they asked me if I could teach them how it worked and explain it. Around an hour later after sharing a few resources they decided that made a lot of sense for their project and combined it with their original idea. I was impressed with the spirit and energy that they had, that feeling of eating the world, eager to learn and grow it was just amazing. This other team wanted to help with crowd control. They decided to use a hardware bracelet that could create a mesh network to send signals to specific towers to collect data using a frequency band that would less saturated than wifi band. All the amazing ideas, teams and insane passion, mixed with all the cultures and languages was the highlight for me. It was an amazing experience interacting with so many different people and sharing our love for solving problems using technology. The panels including Steve Wozniak and Jimmy Wales were also really interesting and covered topics like entrepreneurship, tech and how it continuously changes the world and how we live in it. An then the final day arrived and as a judge I was part of a panel that had to score each team after a 2 minutes pitch and pick only 5 out of 60. From this only 10 would be selected to pitch on the main stage, which mimicked a runway with its long stage and bright lights..
And the first finalist team jumps on the stage and I was amazed about how this young women from this Algerian team pitched, she delivered an idea to the audience, the judges in 3 minutes with such a confidence, body language and presence in the stage! She even replied to the question of the judges with no doubts in a very polite and professional way, questions from Steve Wozniak, Jimmy Wales or the head for the Saudi federation of cybersecurity and programming. 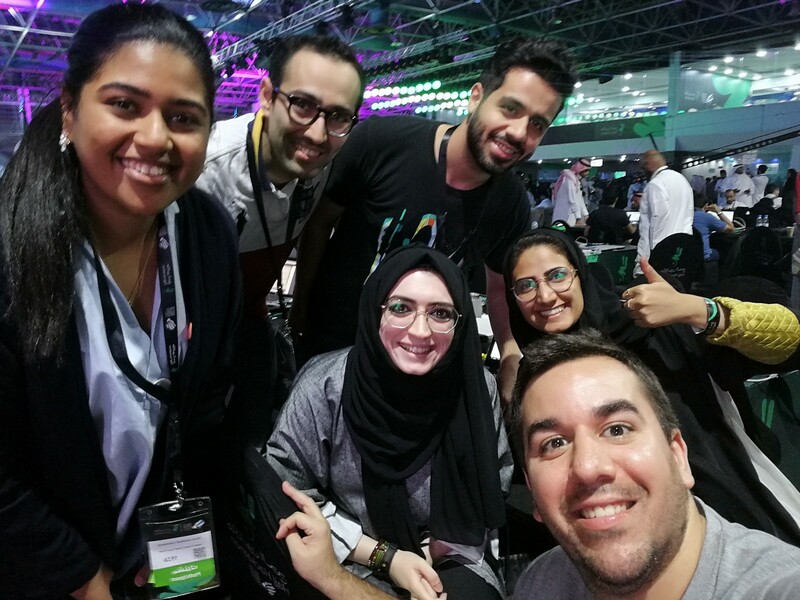 And the winner of the hackathon was an all women team from Saudi that made an app that allowed the pilgrims to get directions and read important information translated without internet connection. And my own output? Lots of friends made, learned about other cultures and religions and confirmed that there is a universal language that is all about the passion to build great things and fix great problems. Thanks to Priyanka Ranjan and W.K.S.